100% Assyrtiko grapes grown on non irrigated limestone soil. 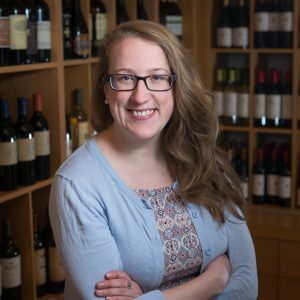 Fermentation in stainless-steel tanks with skin contact. The wine is well-balanced in the mouth with refreshing minerality. Enjoy with fish, white meat dishes and salads. I had the privilege of visiting Santorini a few years ago. I loved wandering through the island’s dry, volcanic-ash rich vineyards where the vines were trained in ground-hugging, basket weaved formations to protect the fruit from wind and sun. 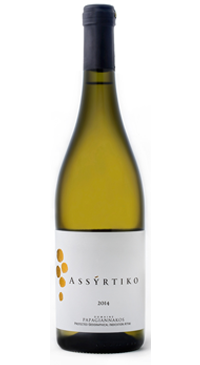 Assyrtiko is indigenous to Santorini but can now be found all over Greece, including Central Greece where this one originates! This wine is mineral-driven and bone dry- a white wine full of concentrated flinty and citrus flavours. Perfect for a hot day. I look forward to learning more about fine Greek wines and sipping on this Assyrtiko seems like a great place to start.